Concerns regarding defective drugs in New England are heightened, following Maine’s recent passage of a law that allows residents there to import prescription drugs from overseas. The policy’s staunch critics include the Pharmaceutical Research and Manufacturer’s of America, the Maine Pharmacy Association and big-name drug manufacturers such as Pfizer and Johnson & Johnson. The problem, they say, is that when drugs are imported from overseas, quality control standards may not apply. Part of it, of course, is that, undoubtedly, cheaper prescription drugs from other countries cut into profits. But our defective drug lawyers in Boston believe these firms do have a point. A lawsuit against the state, Ouellette et al v. Mills et al., was filed in September and is still pending. It alleges that the overseas imports are not only dangerous, but violate federal drug laws. As we saw with the whole debacle with the New England Compounding Center, which was at the heart of a deadly meningitis outbreak in 2012, even our FDA regulations can be flawed. There is a valid question about whether overseas providers can be trusted to provide drugs that are not only properly made, but safely shipped. For example, there are a fair number of drugs that require strict temperature controls at all times. In cases where drugs are shipped across international borders and sometimes from continent-to-continent, there may be legitimate concern about whether those drugs were kept temperature-controlled. Plus, when drugs are shipped directly from manufacturers to patients, there is a missed opportunity for doctors and/or pharmacists to weigh in on potential complications that might develop or dangers of certain drug interactions. From a product liability standpoint, the question of accountability becomes a difficult one. It may be tougher to sue an out-of-country manufacturer for adverse conditions stemming from consumption defective drugs than it would be to take an in-country provider to task. Maine is the first – and so far only – state in the country to approve the import of prescription pharmaceuticals. Primarily, the state is dealing with mail-order drugs from Canada, although imports from the United Kingdom, New Zealand and Australia are also being accepted. 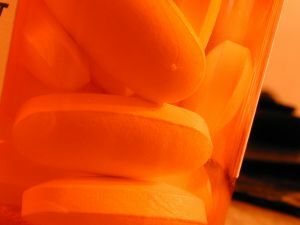 The new law frees the state government from having to ensure that the drugs meet acceptable quality control standards. Maine’s government has fought back against the claims in the Ouellette case by maintaining that the state is free to opt out of foreign pharmacy regulations if it so chooses. The state maintains this is true even if the pharmacies engage in conduct that violates the Federal Food, Drug and Cosmetic Act, enforced by the U.S. Food and Drug Administration. The plaintiffs tried to get the FDA to back their efforts, but so far, the federal agency has taken no firm stance on the matter. Our concern from a product liability standpoint is that if these drugs do cause harm to patients, there may be little recourse available to the victims.